A report recent released by Visa looks at Southeast Asia’s journey towards cashlessness. In it, 43% of Southeast Asia’s respondents expect their country to be completely cashless within the next seven years. This is all tied to reducing friction and providing a better consumer experience, which businesses across the globe have identified as an increasingly important metric for future-proofing their business. 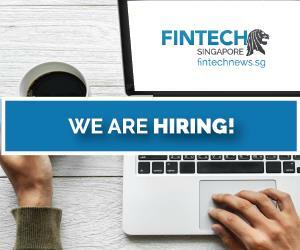 With Singapore’s reputation and fintech-friendly status, one would expect the republic to be leaps and bounds beyond its Southeast Asian contemporaries in cashlessness, but Visa’s recent report indicates that this may not be the case. The rates of cashlessness in each region, according to the Visa report, seems to boil down to four key things: increase in online shopping, the rise of on-demand services, the proliferation of the mobile internet, and of course, e-wallets. The Visa report opines that the internet economy in Southeast Asia is driven mostly by the booming e-commerce market, which is expected to grow to US$200 billion by 2025. This is not a one-sum game though, as confidence in cashlessness doesn’t seem to correlate with rates of online shopping above in many regions. 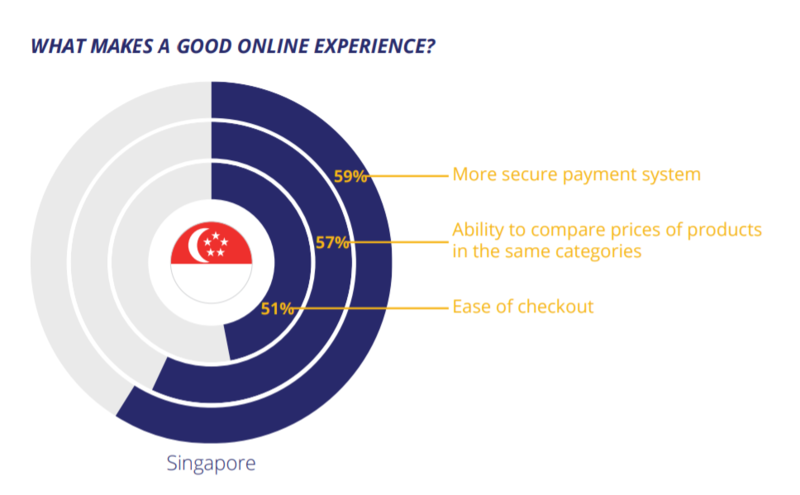 Compared to other Southeast Asian regions that tend to prioritise convenience, the experience that most impacts a Singapore’s online shopping is a secure payment system (59%) —followed by the convenience of easy comparison of prices of productes (57%) and ease of checkout (51%). Singapore’s need for security is only beat by Philippines, where 61% of its respondents cite payment security as a key tenet. 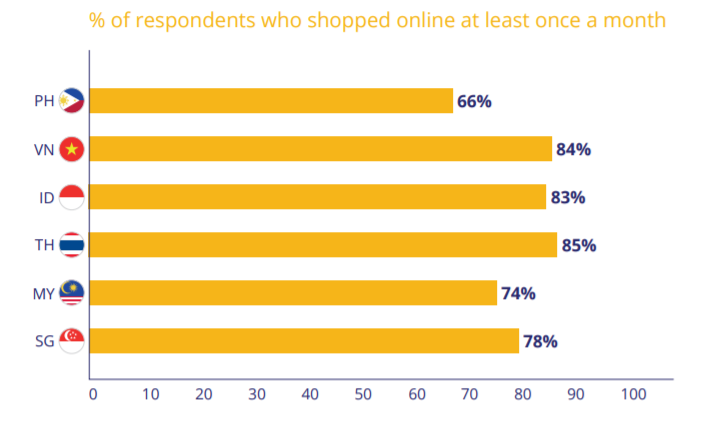 With that being said, the differences between what Singapore values in online shopping is almost miniscule, ranging from 59% to 51%. The differences reported between Singapore and other regions showcase wider gaps, but not by much. What this showcases is that while there are slight cultural differences, Southeast Asia’s opinion towards a good online shopping experience rings similarly. When you’re used to ordering food online or getting a Grab to go to places, it’s not too much of a leap to then use similar payment systems to pay for groceries or everyday spending. 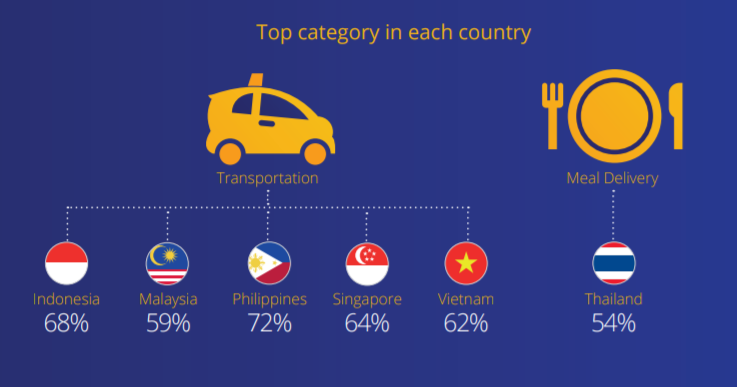 Four in 10 consumers in Southeast Asia use on-demand transportation services at least once a week; respondents in Indonesia, Philippines and Singapore have the highest frequency of use. To that end, ride-hailing is seen as a very ubiquitous service utilised in Southeast Asia, with 64% Singapore noting that ride-hailing is their most-used service. The rise of on-demand services is fueled by availability of smart devices, which has groomed consumers into expecting things “right here and right now”. Anything less than that, according to report, is preceived as a pain point. In fact, over six in 10 respondents in Southeast Asia cited efficiency and convenience as benefits of on-demand services. They expect businesses to be 24/7 and adapt their services to meet individual needs. 70% of respondents across seven Southeast Asia markets use mobile phones to carry out banking activities at least once a week, with 75% owning a dedicated banking app on their mobile phones. Singapore’s rates are worth noting for the stark contrast between its 70% rate of mobile bankers and only 12% of respondents stepping foot into a bank at least once a week. Relevant parties in Singapore have done a decent job of converting much of Singapore’s needs to its mobile bank while catering to demand. According to Visa, reviewing credit card statements is the top method for consumers in Southeast Asia to track their spending, but 75% of Southeast Asians expressed interest in using mobile apps to set budgets and track expenditure. The other methods of cashlessness have existed for a while in Southeast Asia, but this fourth marker is the one that has driven the most interest the term. In Southeast Asia, digital savvy has opened Southeast Asia to alternative methods of transacting. 73% of respondents in Southeast Asia know about P2P payment methods. 75% of Singaporean respondents note they know of P2P lending, making it one of the top 3 countries with that awareness in Southeast Asia (under Thailand and Philippines). However, most would still prefer to be paid back for a shared expense by bank transfer or cash. When one speaks about alternative payment methods though, QR codes come to mind. 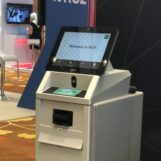 Flexibility and the low-cost nature of QR-based payments have driven its adoption in China, and now helping to drive adoption in the region. 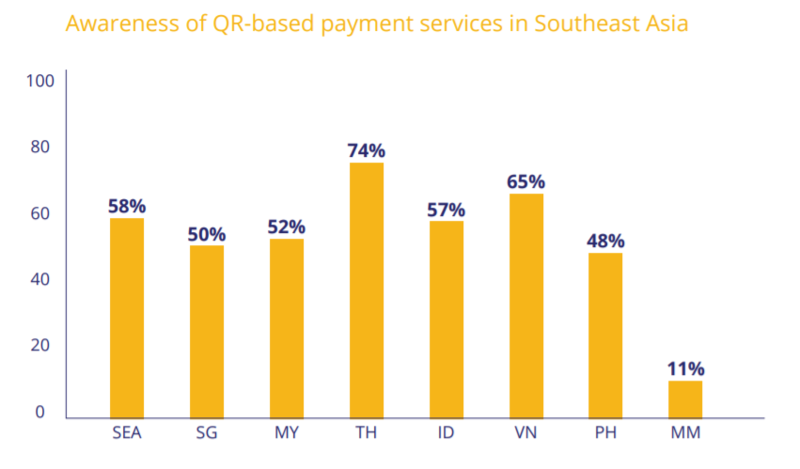 In Singapore, only 50% of respondents said they are aware of QR code payments, despite relatively high usage of all other markers of cashlessness. 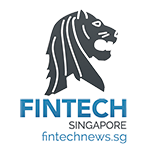 Singapore experiences a high card penetration rate, which may have made it more difficult for mobile wallets to change payment habits among Singaporeans. In 2017, credit cards continued to be the most preferred way for online and offline purchases. 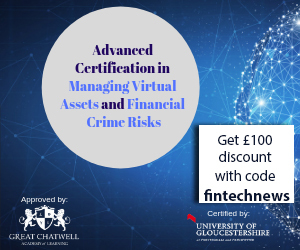 Singapore may not be the cream of the crop in cashlessness, but the country is still well on its way towards that goal, and in fact, it may be easier for Singapore to truly embrace cashlessness if its neighbour regions are moving towards them so zealously.